A dynamic instructor and mentor, Dylan Schneider is dedicated to the artistic development and future success of his students. As professor in the Department of Music at Amherst College, Schneider brings an expertise in opening up the world of musical creativity and analysis to students of all backgrounds. Together, Schneider and his students pioneer new frontiers in performance and scholarship, traversing the diversity of human experience with a sense of lyricism and play. Schneider serves as a guide through the process of spinning out a young composer's idea into a satisfying and vivid composition, one that exudes both a sense of variety and wholeness. In particular, he helps students imagine how their music will sound on various instruments, keeping in mind matters of playability, orchestral effect, and sonic character. Always mindful of the quality of a student's notation, Schneider enables young composers to develop the skills and awareness to communicate their musical intentions in clear, robust, and striking detail: the blueprint for a satisfying collaboration with performers. Perhaps above all, however, Schneider believes his most pressing responsibility is to help students procure the performance of their works. There is no greater educational resource for a composer than hearing one's music played—and, ideally, to have a quality recording. Teaching theory at the University of Chicago, Schneider ended each term with a performance of student model compositions, ranging from minuets and sonata-allegro expositions to adventurous explorations of song forms. The concerts served to demonstrate how students' competency in fundamental theoretical principles translates into lively creative expression. As a Century Fellow, Schneider earned a reputation as a knowledgeable and lively instructor, dedicated to his students at Chicago. In 2011 and 2012, he offered the course Introduction to Analysis and Criticism, which explored the art of listening carefully and intelligently to different kinds of music. Schneider placed a particular emphasis on developing ways of writing in effective prose about one's experience of music. Since then, Schneider has served as a Visiting Professor at Smith College & Amherst College. These are the comments students have left on their course evaluations of Schneider's classes. I loved this class. Professor Schneider is the best teacher I've had at Amherst. Professor Schneider is a superb pianist and a wonderful teacher! He has a really good sense of humor! I learned a lot about jazz harmony and also classical. Professor Schneider was an absolutely fantastic teacher for this class. He was ostensibly passionate about every piece of music we studied, and took a very positive attitude towards students. He made a conscious effort to include ideas from a wide range of musical backgrounds to facilitate penetrating class discussions. His comments on writing assignments were the most penetrating and supportive I have ever gotten from a teacher, highlighting good features and suggesting ways to improve musical vocabulary and overall clarity of prose. Professor Schneider has an obvious passion for the subject that translates readily into his teaching style. He's engaging and unintentionally hilarious because of this passion. He also plays the piano wonderfully, and the days that he decides to play some Chopin to demonstrate a musical point always left me breathless. He's also very knowledgeable about music and the arts in general, which I really appreciate. Professor Schneider is simply fantastic! The 80 minutes of class time just seemed to fly by each time we met. His lectures were engaging, entertaining, and simply enjoyable. HE is so receptive to alternate interpretations of the music and is eager to hear what we have to say. His comments on assignments were probably the most constructive I have received since coming to UChicago, and it was clear he spends time reading and critiquing each assignment. And he returned assignments very promptly! Take Dylan`s class! Professor Schneider is one of the best instructors I ever had. He is really knowledgeable, and he clearly loves what he is teaching. Thus his excitement and love for the material we covered made the class both really interesting and a joy to be a part of. He always offered positive criticism on our papers, and he was always very respectful towards our opinions and our own interpretations of the music. I wish Professor Schneider would be teaching more music courses in the department.I am so sad this class is over, and I would love to take all of the classes he would teach even though I am not a music major. Professor Schneider thank you so much for such a great quarter. We will miss you and this class a lot. I am quite sure I will not have an instructor as nice and sweet, and knowledgeable and informative, as you in this school. Strengths: Clear enthusiasm for and knowledge of the course material, ability to play the piano, very approachable and friendly, as well as open to many interpretations of the music. Weaknesses: None. I was really into my final piece for the concert and since then have gone back to look at it to see how I can make it better. Professor Schneider's musical abilities are beyond superb, in any kind of music. The class was great, but I enjoyed Professor Schneider most of all. He was extremely passionate about the material. I felt like in every class, he was pushing to teach us more and more. He was always available to meet after class and was very interested in our individual success. He is a great piano player and an excellent composer. Most people met with Professor Schneider almost daily to perfect their pieces, but he also gave me space to experiment with rhythms and chords. 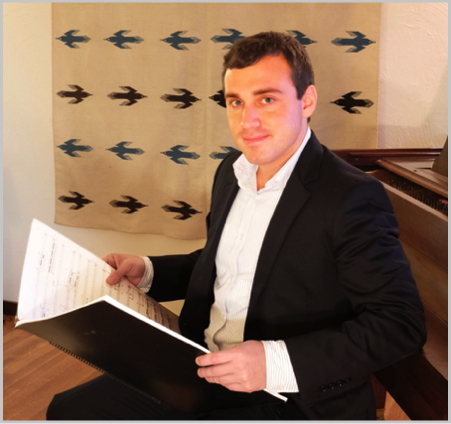 Professor Schneider is talented and articulate in both piano skills and knowledge. I had a great experience in this class. I thought it was fun and a really nice change of pace from just sitting through lectures all day. The workload was sufficient and I think it definitely made certain that you learned the material. I thought Professor Schneider's teaching style was very effective. He is very organized and taught the class efficiently. He would also call on people at random to make sure everyone was paying attention. Professor Schneider was available ALL THE TIME to meet outside of class. I've never had a professor as available as he was. Professor Schneider is clearly an extremely gifted musician and composer. I enjoyed this class thoroughly. I gained a lot of music knowledge in this course, and have gained a new appreciation for popular music. Professor Schneider was awesome and always available to meet. My favorite part about Music 112 was the Blues. It was cool we got to write different kinds of music (classical, blues, Broadway-style, minuets). I greatly enjoyed coming to class every M/W/F. It was the highlight of my day. I was able to learn/re-learn a lot of what I knew in the past, but had completely forgotten about. The work was fun and it revived my love of music! Professor Schneider's teaching is well suited to the class. He was very organized, but we never had information just presented to us without discussion. Everything was learned organically. Professor Schneider was constantly available to meet outside of class pretty much anytime, way more than my other professors. I'm pretty sure he's a professional musician. His musical abilities are highly advanced. I loved when he played the piano for us in class. Sometimes it was jazz but sometimes it was classical music like Chopin who is my favorite composer. He even played his own music for us which was cool. I really enjoyed composing and playing/performing music in this class. I didn't know I was a composer! This class was great. I learned about the western musical tradition and also the Blues, and even more about myself as a musician. Through constant drills I was able to become proficient in harmonization and fully fluent in a clef I'm not used to. Professor Schneider's style matched me well as he didn't harp on things too long and knew when to go on to another topic. Professor Schneider is a very advanced pianist and also an amazing composer. I liked when he played some of his own music for us. My favorite part about 112 was the composing. I didn't think we'd do composing in a theory class, but it totally makes sense and was a fun surprise. The final concert was a really great experience, and Professor Schneider was extremely helpful preparing. The class was a lot more work than anticipated, but it felt really worth it at the end. Performing with classmates in particular was fun. He is a great professor who is passionate and knows his stuff. So much rehearsal and editing/conferencing went into the final concert, but the end product exceeded my expectations. My initial ideas weren't too impressive but over time, the piece was jazzed up. Rehearsing with classmates was fun! [Was your professor available outside of class?] A hundred times over yes. He took a lot of time out of his day to review certain topics, talk about compositions, and encourage us to meet with him. He's always willing to go the extra mile. In this class there were lots of different levels of prior music knowledge, but Professor Schneider did a great job of teaching to everyone's abilities and keeping the course interesting for everyone. He's really really approachable professor. Explore Schneider's teaching philosophy here.